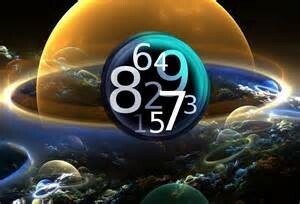 Numerology is a modality that can assist us on our journey through life, giving us a form of road map to follow. It can help us to identify our drive for meaning, direction and purpose, to understand our personalities, our highs and lows, challenges and abilities. Through Numerology you can discover who and how wonderful you really are, how you can further improve and understand life better, relate better to others, become more emotionally and financially secure, maintain naturally good health and live a thoroughly loving life. My Journey: I started studying Numerology about twenty years ago and was fascinated how it really coincided with life events and patterns year after year. Just recently again I was reminded of the power of the numbers in my life, and how they can give you peace of mind that everything is in perfect timing and alignment. Last year I came into my personal year 9 just as I arrived in India. I am also a Life number 9 as well. When your personal year aligns with your Personal year it amplifies the learning around the meaning and teachings of that number. For me it was not long before I felt the full brunt of the effects of a double 9! I became critically ill and spent most of that year learning and processing through releasing, letting go and purging aspects of my life. I felt like I had been emptied on all levels of my being and had nothing left to offer, laid out completely for the year. Then in February of this year for no noticeable reason, the fog started to lift from my being and I was again able to function in the world. All I could put it down to was that I was just coming into a Number 1 personal year again, my birthday in March. Number one is about new beginnings, individuality and opportunity. I was able to start a new chapter in my life and by May I had started facilitating my sound sessions quite successfully. The year has flowed reasonably well since, with my health and wellbeing improving along the way and my next number 2 has already started to show up in my life. As we move closer to our birthday the next years number overlaps and seeps into your life, ending off the last years learnings and taking on the new. The learnings of the number may even amplify and intensify as it comes to a close. 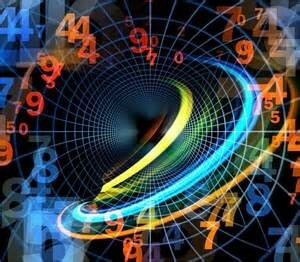 So it is really reassuring to take notice of your numerology numbers, as they become an insightful road map, giving you direction and more clarity about why things occur through your life cycles. You can then understand what to do to help yourself through these times and breathe in and trust what the universe is offering you; an opportunity for deeper personal growth. Your life number is the lesson you must learn in this lifetime and is most significant in your choice of a career. It indicates vocation plus the lesson you came into incarnation to overcome or to learn. It also represents the cosmic gift you are given in order to accomplish your destiny. You were born into this life at a specific time and date. Before a tree can bear fruit, it must grow into strength and maturity. So it is with human life. Our strength and maturity emerge as we fulfil our primary purpose in life, as simply revealed by our Ruling/Life Numbers. When you come to understand your life lesson it can give you more direction. How to work out your life number – It is that vital number that is found from the total of each individual number comprising our birth date, simply added arithmetically. Add all the digits in your birth date broken down to a single digit excepting compounded numbers of 10, 11, 22, 33 & 44. In Pythagorean Science of Numbers, there is no Ruling/Life number 1; instead using the whole number 10. The other two compounded numbers are Ruling/Life 11 and 22. These two have a special metaphysical significance, the ‘11’ being the highest spiritual number and the 22 forming a truly masterful combination. 33 is a powerful mind number and some see 33 and also recognise the 44 also as a compounded number. Your personal year runs from birthday to birthday, not calendar year to calendar year. Your life runs on nine cycles of change. The study of these 9 cycles and learning to understand each cycle, will give us the opportunity to be forewarned of what to expect and how to prepare for our experiences. More progress is always achieved by swimming with the current than by fighting against it. We see these cycles if we look closer and observe that some years are progressive, some were seemingly dull and then the years that were totally frustrating, where everything and anything went wrong. Each cycle demands us to change and grow towards our perfection on our journey through “Life on Earth”. Yet as many people tend to react to change or totally resist it, they create pain. Not just physically but on all levels of their being and choose to stay in their comfort zone which of course is far from comfortable! So change is more than accepting minor variations in your lifestyle, it is the way of all life on earth, cycles of beginnings and endings. Therefore it is inevitable that like the seasons we are all destined to do a certain thing, live through a certain situation. There is a ‘time to reap and a time to sow, a time to keep silent and a time to speak’ (Ecclesiastes). So when you come to understand the ebb and flow of life through your personal year, life makes more sense, you can find inner calm and more peace. So it makes sense to stop evading it, relax and go with the flow. Even the planet Earth has its cycles as well. As with Personal years there are World Year Numbers. By our recognition of this very carefully organised Divine Plan of life, we begin to see that everything in our universe is succinct in design and purpose. How to work out your personal year number – Add all numbers of your birth day and month and the present year. Some meanings of all the numbers – The Positive is about what you are aspiring to grow into from the negative traits. Nothing of course is either negative or positive they are all about personal growth, learning and growing towards a state of wholeness and peace within yourself. Each year, starting with 1 switches from one of action to the next one of inner reflection and rest. 11. Spiritual Young masters come in on this number to support amazing people. I hope this has given you some insight into the power of numbers and that you will continue to enjoy learning more about this intriguing and accurate journey into Numerology. Some of this information was taken from the books “Discovering the Inner Self” The complete Book of Numerology by Dr. David A. Phillips & “The Life you were Born to Live” by Dan Millman. There are many websites available on the Internet around numerology but here are books that may interest you.